Tolstaya demonstrates an impressive range in these 23 stories, most having first appeared in On the Golden Porch (1989) and Sleepwalker in a Fog (1992), together with some newer work. That range encompasses political satire, flights of surrealism and realistic urban and domestic dramas, nearly all set in the Soviet era. The longest story, “Limpopo,” is outright political satire, a scattershot peppering of a rule-bound society run by individuals who think in categories and blinkered comrades who travel to Italy and find gloomy people under gray skies. The satirical and the surreal blend perfectly in “A Clean Sheet”; here, the profoundly depressed Ignatiev visits a hush-hush clinic for the removal of his “diseased organ,” and emerges a new man, brutally assertive. Such transformations elude most of Tolstaya’s characters. They suffer the indignities of life in communal apartments in Moscow or Leningrad, or live miserably on the outskirts, like the married couple in “The Fakir,” who worship at the shrine of a dilettante who has his own place in central Moscow (heaven!). Tolstaya’s favorite theme is an inexhaustible one: the passage of time, often accompanied by a potent regret for opportunities lost. Alexandra Ernestovna, 84, has survived three husbands, but it’s her abandonment of her passionate lover that still gnaws at her (“Sweet Shura”). Middle-aged Natasha had one chance at love, blew it, and became a dull teacher (“The Moon Came Out”). The governess Zhenechka, a trusting soul, is recalled after her death by a former pupil; teased by her charges, exploited by employers and relatives, Zherechka deserved far better; “Most Beloved” is a moving tribute to simple goodness, flecked by remorse. The best expression of this theme is the marvelous “Fire and Dust.” Newly married Rimma sees “enormous happiness” in her future as she contrasts her life with that of Pipka, a crazy disaster-prone bohemian, but somehow Rimma’s life crumbles into an empty marriage while Pipka lands on her feet. 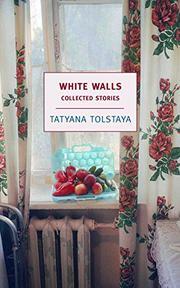 Children, old folks and the struggling in-betweens—Tolstaya sees into all their hearts. Remarkable.